Welcome to the first Polkadot Door Designs Blog Hop and Inspirational Challenge! A big THANK YOU to Sarah and Rebecca for inviting me to be a part of this! If you have just come from Kim's blog, then you are in the right place. If not, then you may want to start at the Polkadot Door blog first for instructions and prize details. Not only are there several prizes, but if you participate in the challenge, you could win a spot on the June Design Team! The crocheted flowers are made by Prima. Aren't they beautiful?! I love the texture of them. The fence is a chipboard element made by The Dusty Attic (Picket Fence Border DA0175). This beautiful butterfly was purchased from Kay's Kreative Korner. She has a great selection of butterflies and other gorgeous embellies. The pearl fern leaf is made by Prima. For my journaling I used tiny alphabet stickers with inked edges. This chipboard element is also made by The Dusty Attic (Ornate Corner #4 DA0347). The lace trim was hand-stitched onto my border. In this corner I used Dusty Attic Botanic Accent #1 (DA0460). For a tutorial on how to do the 'Eyelet Lacing Tear' click here. I used Thickers Alphabet Letters for my title. I outlined each letter with an opaque white pen to help it stand out more. Thank you for stopping by. :o) Your next stop is Geri's blog. Enjoy your hopping and have a beautiful day!! Hi!It's my first blog hop and I enjoy it. Your works are very brautiful!I love them! So very pretty, Natasha!! Every single detail is perfect!! Oh wow! This is a stunning creation Natasha! So many lovely layers and textures! Your layout is spectacular! So much detail and beauty! 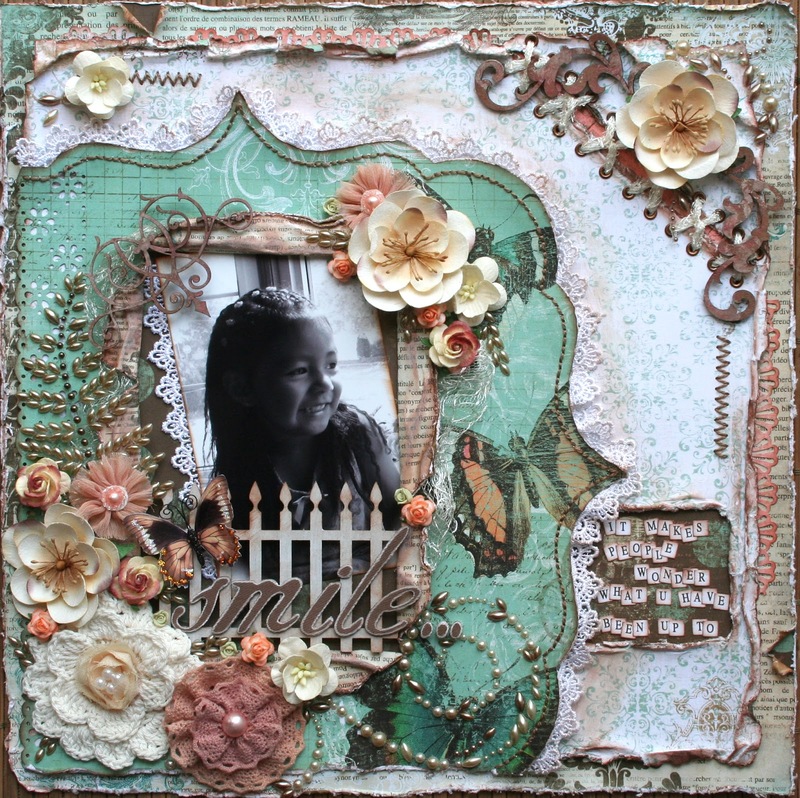 Absolutely beautiful layout Natasha! I am always amazed by the amount of detail and texture you incorporate into your projects, you inspire me. Thanks for being part of our little blog hop! Lovely layout with so much detail! 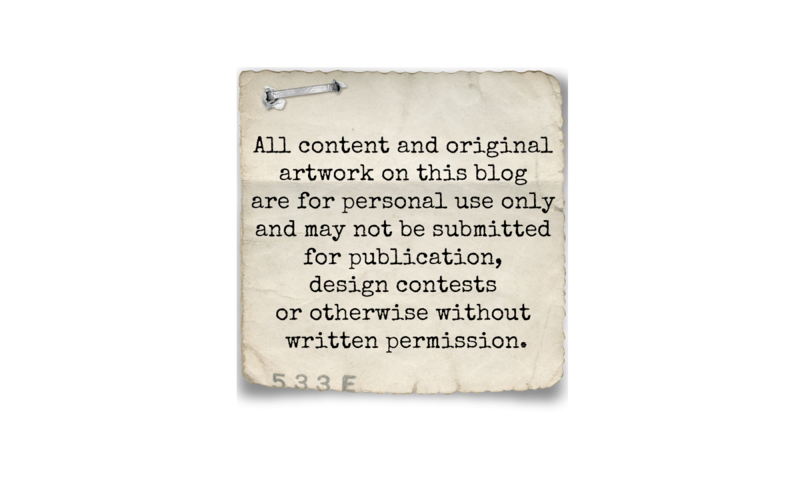 I always enjoy coming to your blog to see what new thing you have created. Your lo's are so beautiful tfs! Absolutely gorgeous. I love your attention to detail. Natasha, this LO is truly beautiful. Love the detail. Wow.. so many beautiful details.. every time I look at it I discover more! Great idea to outline the thickers. what a beautiful layout - and such a great smile!!! Natasha your layouts are always so packed full of goodness...thsi is no exception! Gorgeous! WOWZER! This is beyond beautiful - you work is truely ART!! This is my first ever Blog Hop - thanks for the suggestion! You know you are going to make me go out and get one of those big crop-a-diles to set eyelets deep into my layouts for lacing!! Thanks for sharing your talents! Beautiful Natasha - love a of the detail! This is absolutely stunning Natasha! I'm so happy to have stumbled upon your blog from the blog hop. Your love of this art-form is truly inspirational. 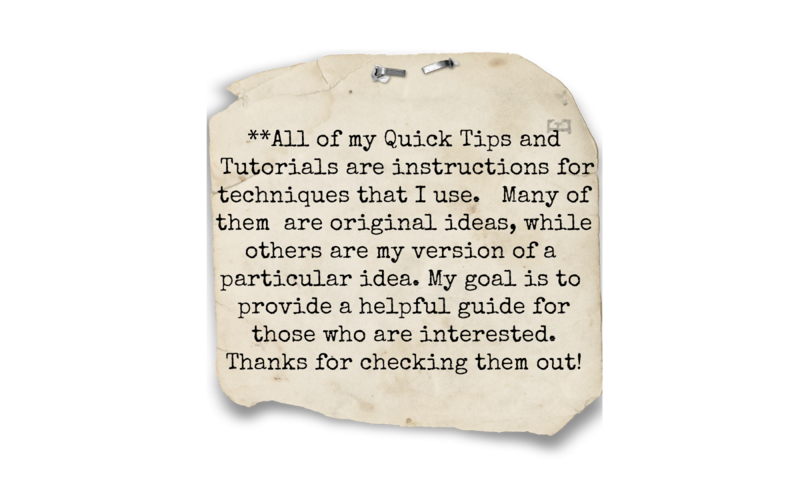 Thank you for sharing the various tutorials with us too. Fantastic work! Stunning creativity - absolutely gorgeous! Wow what an awesome project you made...I love that and the idea!!! What an incredibly beautiful LO! Usually lots of embellishments detract from the picture, but you managed to place yours in such a way they draw the eye to the photo and enhance it. WOWZERS! Fabulous page. The details are stunning! Natasha, you do such beautiful work! I so enjoy seeing your posts. Absolutely stunning!! I love all the layering and the colors are gorgeous!! Beautiful Layout. I love al the flowers and stiching. That is a gorgeous layout. I am envious of your attention to detail! What a beatiful LO! So many stunning details. 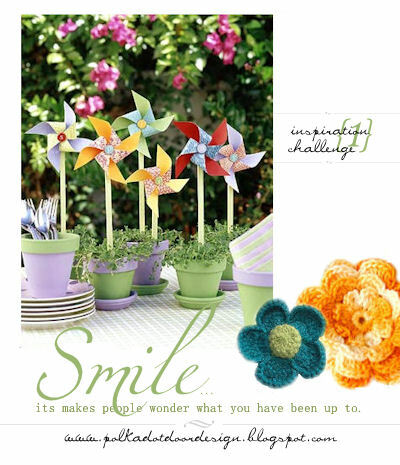 Love the Prima flowers also!